This summer at grosvenorpoker.com we will be sending 20+ people to play the Big 50 and more importantly have a brilliant week in Vegas. Last year I had a blast. It was my first Vegas trip as a Grosvenor sponsored pro and I loved everything about it. The meet and greet was great to get to know people and we had nights out planned the whole week as well as a trip to the boneyard (Neon graveyard where all the redundant signs from Vegas over the years were originally dumped – since been turned into a Museum) which was really enjoyable. The way in which the town has developed from a watering hole in the middle of the desert to the monstrosity it is now still surprises me. What I love about Vegas is the characters and history of the place. We all have heard stories of various skull-duggery within the poker community and I have a personal favourite story. Two players (who shall remain anonymous) are in the Rio toilets during a scheduled break in the Main event. They greet each other whilst at the urinals and have a little discussion. Soon after this discussion player B leaves the restroom whilst player A is washing his hands. 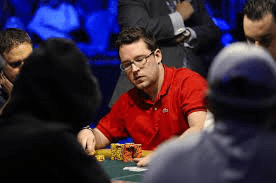 An older gentleman walks over to player A and in a soft-spoken manner details how player B has definitely just bust the main event (an explicit freezeout). Player A shrugs his shoulders “Never liked that guy, I’m not even playing the Main”. A great story and a reminder that whilst Vegas is magical and there’s plenty of opportunity, just be careful! I have some fond memories of Vegas, with a few nice results (not many in recent years). I’ll be looking to go deep in a few events this time around, especially in the “Big 50” that all the Grosvenor players will be playing. All the pro’s and staff discussed how to make last year’s trip even more special in 2019. This year players will win a £3,000 package which covers entry to the “Big 50” ($550), flights, accommodation at the “Linq” (nice and central, plus you get access to all the best pools as its part of the Caesars group– FYI excellent poolside blackjack at Caesars palace …) spending money and some cool entertainment. 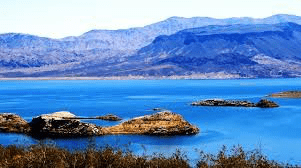 This year I might tout a day trip to lake mead. Drinking beers on a boat and relaxing is a great way to make new friends and have a laugh and gives you a break from the bustle of the strip. Satellites are an interesting beast and there is plenty of good advice out there, but here are my key tips, which might help you bag a package. Let the tournament work for you on the bubble. DO NOT commit satellite suicide and gamble as a short-stack when there are other players that will be forced to make a move ahead of you. Every second you spend not involved on the satellite bubble is a good second. Know your customer. Do not focus on ‘what they should do’ when making big players to force players to fold. Do some research and watch how they play. If they aren’t capable players they might not fold when they ‘should’. If you have chips, play small-ball. You can simply steal and stay afloat, continually putting tiny amounts of pressure. If you get resistance, don’t get funky, discretion is the better part of valour sometimes. I’m proud to be part of Grosvenorpoker.com, who only focus on UK + Irish customers and are doing their best to try to get as many grass-roots players into bigger events:- like the GUKPT, MPNPT and Vegas alongside the smaller national 25/25 and Deepstack tours. I encourage anyone thinking of taking a shot at Vegas this year to do it with Grosvenorpoker.com, small fields and reasonable buy-in give you a quality chance of joining what is sure to be another epic trip this Summer. If you want more information check out the promotional page with all the details. Meanwhile, I’ll be dreaming of running up some huge stacks and taking down a bracelet!